Right after world war II the Netherlands had the big challenge of recovering and rebuilding big parts of the country and also some of the bigger cities. In that period the need for concrete increased significant. Therefor the demand of bulk cement also increased, but there were not much solutions for fast and clean handling of cement. Unloading cement was a dirty, dusty and difficult operation that needed improvement. The trade of cement in Bulk became very common in The Netherlands. 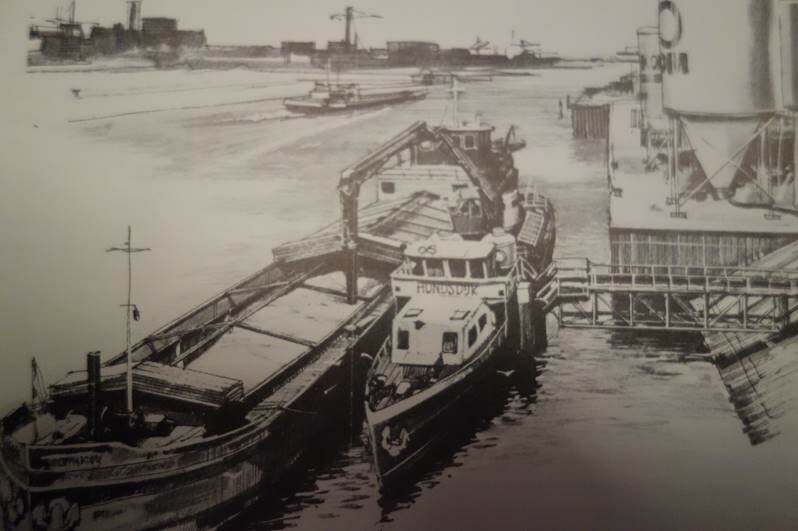 In that time the Van Aalst company started to import cement and felt it as their responsibility to unload ships dust free and environmental friendly. The big challenge was born and the first prototype was built. Van Aalst managed to find a way to unload these ships full of cement without spillage and dust. This was back in the year 1954. The first unloader in the world with the, for that time, stunning capacity of 20 T/h was a fact. After this first machine was built the new and improved versions followed rapidly. Equipment on smaller ships as well as on shore were engineered and built. The unloading capacity was soon raised towards 100Tph. The pneumatic principle of unloading cement is still the base of the equipment built today. Now Van Aalst Bulk Handling can manufacture equipment with a capacity up to 800Tph, dust free, environmental friendly and hassle free unloading are still the most valuable characteristics of the custom built equipment delivered to customers all over the world today. Being the only and longest lasting specialist in the world of pneumatic unloading of dusty powder materials Van Aalst is proud of the years long experience, but also on the innovative improvements still made almost every day. Stars of Cement Award for Mr Gert van Aalst. 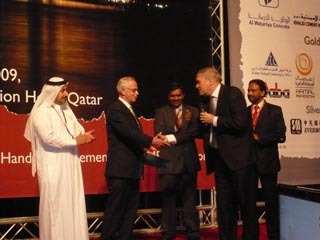 During the Intercem Conference in Qatar (27/28 January 2009) Mr Gert van Aalst received the “Stars of Cement Award” for his long lasting contribution for the cement industry. Mr Gert van Aalst has developed the road mobile ship unloader in the late 70ies (which now is the industry standard) and is well known because of his flexible and innovative approach. The bulk handling of cement would have looked different without Mr Gert van Aalst.